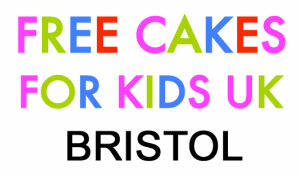 The Children and Families service within Bristol City Council provides a wide range of services from support for parents and carers, to adoption and fostering, and education, health and care services for children and young people from birth to 25 years old with special educational needs and disabilities. Aid Box Community provides Bristol's asylum seekers & refugees with a safe haven to relax and socialise as well as access their 'Free Shop' where they can choose from a huge variety of high quality donated clothes, shoes, household items, furniture and other essentials, that will help them live more comfortably as they settle in Bristol. 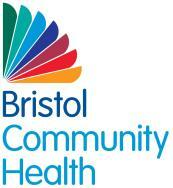 Bristol Community Health delivers community health services for children and young people in Bristol, South Gloucestershire and North Somerset through a partnership of local, not for profit and NHS providers - Bristol Community Health CIC, Sirona care & health CIC, North Somerset Community Partnership CIC, Avon and Wiltshire Mental Health Partnership NHS Trust and University Hospitals Bristol NHS Foundation Trust. The services that fall within the scope of this contract include; health visiting, school nursing, child and adolescent mental health (CAMHS), speech and language therapy (SALT), occupational therapy and physiotherapy, community paediatricians, community nursing and a range of dedicated services for vulnerable children including children in care, children with learning disabilities, children with life limiting conditions and children with drug and alcohol problems. Ronald McDonald House, Bristol is an independent charity which provides Home from Home accommodation, free of charge, to the families of critically ill children receiving care at the Bristol Royal Hospital for Children. When a child is very ill, they may need to travel away from home to receive the treatment that they require. Having a child who requires medical care away from home can be a very stressful experience; imagine being in a strange city, miles from home, with nowhere to sleep and without the support of your family and loved ones around you. Our aim is to keep families together during what is probably one of the most stressful times of their lives. Bristol Refugee Rights was set up as a voluntary organisation in 2006, originally under the name Holding Refugees and Human Rights in Mind, to uphold and champion the human rights of asylum seekers and refugees. We provide a place of welcome in Bristol where asylum seekers and refugees can meet and be supported to play a full part in the life of the wider community and also campaign for the human rights of refugees and asylum seekers. The b.friend project provides asylum seekers and refugees with one-to-one support. Founded 3 years ago by Sam Sayer in Bristol, b.friend matches a volunteer with an asylum seeker or refugee for a period of up to one year, and equips them with the tools and support they need to meet regularly for companionship and support. The Baby Bank redistributes baby items like clothes, slings, cots, high chairs, slings and cloth nappies that have been used and loved by parents, but are no longer needed, to parents who cannot afford to buy these items new or second hand. Incredible Kids aims to provide a safe place where children with special needs can play together with their siblings giving parents and carers the chance to meet with others in a similar situation whilst having a short break. It is for any family with a child with additional needs. Play together as a family in a safe, secure supportive environment. We help vulnerable asylum seekers and refugees access essential services and adjust to life in a new country. for 2-3 hours a week to offer practical and emotional support. Follow Your Dreams is a national charity operating in England and Wales that inspires children and young people with learning disabilities to follow their dreams.Our vision is for children and young people with learning disabilities to recognise their potential, be ambitious and be provided with the opportunities to follow their dreams. The charity focuses on children’s abilities, growing and developing skills through the delivery of creative and interactive events, dreams and workshops. The Carers’ Support Centre provides support, information and advice to carers of any age living in the Bristol and South Gloucestershire areas. Developing Health and Independence is a charity that challenges social exclusion by supporting people to achieve their potential and contribute to the richness and wellbeing of their community.We provide a comprehensive range of services in Bath and North East Somerset, South Gloucestershire, Swindon, Wiltshire, and Somerset for people who are socially excluded for reasons such as homelessness, alcohol or drug problems, learning disabilities or emotional difficulties. Childminders Support Group, and local mums have even started a breastfeeding group, the HoneySuckle Cafe. We are a parent-led group run by volunteers, most of whom are parents and family members who wish to help others affected by autism / Asperger's syndrome. We aim to provide support and local information for parents & carers of children with autism/Asperger’s Syndrome. We run monthly drop in sessions for members, which give parents and carers a chance to meet and connect with other families in the Bristol area. We also invite guest speakers to these events to present on various topics which may impact on a family who are living with Autism. We are an outstanding and inclusive establishment consisting of a nursery school, children's centre, community and family services, specialist provision for children with severe and complex needs, the child development assessment centre and health services. City of Sanctuary is a national network, a movement of local groups made up by businesses, community organisations and individuals, all with one thing in common; their belief that sanctuary seekers should be welcomed, and that their contribution to society should be celebrated. We run a drop in centre for women with a refugee background and their pre school children. We provide a creche, advocacy service, bi-lingual support, lunch club and social and leisure activities. We also run courses to support women in to employment, training and volunteering. Survive is an innovative local charity working towards freedom from domestic abuse for women and children in Bristol and South Gloucestershire. We offer practical and emotional support, accommodation, information and education for women, children and young people who are experiencing or have experienced domestic violence and abuse.